If you can afford it, don’t put off till tomorrow what you can do today. It doesn’t matter if you look at homes sold or homes for sale in Mississauga, Oakville, Etobicoke or anywhere else in the GTA, the news is always the same; sales are up, prices are up and the market is almost as hot as the hottest year ever. Interest rates are low and demand is high creating a very frustrating market for home buyers. In the 905 area code average prices are up 8% for a detached home (average being $579,892), 10% for a semi detached (average being $400,442), 6% for a townhouse (average being $359,382) and 8% for a condo (average being $292,416). The questions still remains.. when will it stop? No one has a crystal ball but in the short term it doesn’t look like much is going to change. Due to the European debt crisis it looks like interest rates are going to remain unchanged for a while. Even if they do start to inch up prices will go up before they start to go down. Similar to the stock market, the GTA real estate market tends to panic at the slightest bit of good or bad news. The difference is it takes a bit longer for any impact to be felt in the real estate market largely due to the fact that a property can’t be purchased on the internet in 5 minutes as can be done with stocks purchases. If and when interest rates go up the likely scenario would be for the next month there would be an additional of surge of buyers on the market who want to take advantage of current rates before further interest rate increases are posted. These would be the buyers that were sitting on the sidelines either waiting for prices to go down or saving up more money. This surge of buyers would result in a steady increase in prices until the demand was satisfied or the buyers went back to the sidelines in frustration. At that point, and if rates continued to climb, a slow decrease in price could follow. The length of time it would take to see any meaningful decrease in price would be approximately 6 months. If rates continued to increase during that 6 months then a buyer may not be any better or worse off then had they bought a house 6 months before. It’s the damned if you do, damned if you don’t scenario. All I know is I lost 40% on my RRSPs. In my book stocks are out real estate is in. Similarly my advice would be, if you can afford it, don’t put off till tomorrow what you can do today. Cynthia Shaw, is a licenced Mississauga Real Estate Agent with Sutton Group Quantum Realty Inc., Brokerage in Mississauga Ontario. Let Cynthia’s extensive knowledge in Mississauga real estate guide you in purchasing your dream home. Waiting for the market to cool off before buying a home could end up costing you more money then it would if you bought a home now and took advantage of the lower mortgage rates mortgage. With predictions of home prices set to fall many potential home buyers including home upgraders are choosing to sit on the sidelines and take a wait and see approach with their real estate plans. Home buyers refusing to participate in multiple offers are also bowing out until the market cools off a bit. Is this the right approach? Since March when predictions were released that Mississauga Property values along with most other areas of the GTA would experience a price reduction of 20—25%, the Mississauga real estate market along with most other markets across the GTA have continued to flourish. During the first two weeks of April the average selling price of a home increased by 1% as compared to the average selling price at the end of March 2012. Although this average price does not necessarily mean that all homes have increased 1% in value in two weeks, it provides some guidance that home prices are still on the increase. 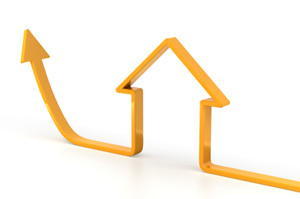 By the end of the month the year over year increase in average selling price was up by 8%. Total sales figures were up 18% over last April. The inventory of homes on the market continues to be very tight and there are more buyers out there then there are homes for sale. The hope is that as we move further in to spring the inventory will increase and prices will stabilize. If not then what next? A continued tight inventory will push prices up even further. At the current level of monthly increases in the average selling price that could amount to an increase of about 12% over the next year. Based on the year over year average increase of 10% published for March 2012, this 12% doesn’t seem totally out of whack. The Canadian economy seems to be moving along quite well and according to the “Big Bank Chief” if it continues to improve a gradual increase in the central bank rate could lead to an increase in lending rates. Some economists believe the increase will start towards the end of 2012. 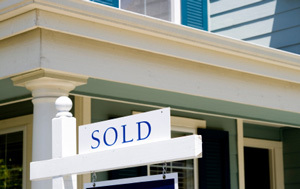 Typically the real estate market doesn’t react quickly to moderate economic changes. Historically in an increasing interest market it takes about 6 months before the rate increases have an effect on home prices. Given the record low rates in the market right now it would not be unreasonable to assume that, should the central bank begin to raise rates at the end of the year that actual mortgage rates will be 1% higher by this time next year. Given the current market conditions and the length of time it takes the market to react to changes waiting for the market to cool off before buying a home could end up costing you more money then it would if you bought a home now and took advantage of the lower mortgage rates mortgage.